Photobricks is a completely free, ridiculously easy-to-use mosaic creation software specialized to work with LEGO® bricks. With Photobricks, you can make beautiful mosaics from your favorite images with the push of a button. For those of us who like to have more control, you can further customize the mosaic by cropping and changing the colors of individual bricks. You can then view what types of bricks you’ll need to build your mosaic and, when you’re finished with your masterpiece, you can share it in a variety of ways with others thanks to the built-in publishing options. Excited? You can start using Photobricks right now by visiting the Download page. Not convinced yet? 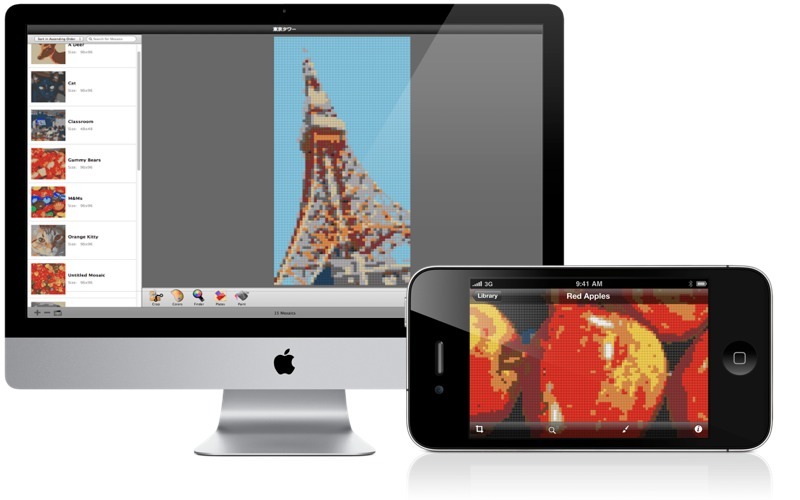 You can check out Photobricks for Mac or Photobricks for iPhone, iPod touch to learn more about Photobricks.